Gregory Mirliss, MBA ’19, isn’t your typical MBA. 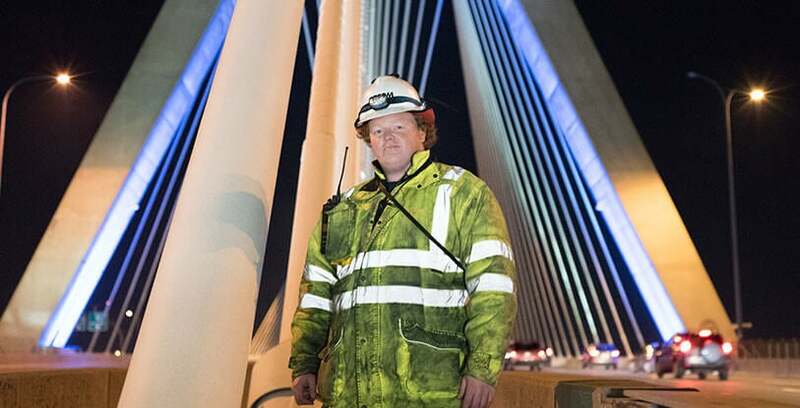 When he’s not in class, he works full-time as an engineer, inspecting bridges and tunnels around the country for AECOM, a Fortune 200 multinational engineering firm. His job is to ensure that our nation’s infrastructure is safe for the public to drive over, under, and through. And we should be glad he’s on the job. Because he’s working full time, Mirliss needed a program that not only fit in with his busy life but made him feel like he was making the most of his precious time. Turns out the Sawyer Business School was just the place. It’s been such a good fit, in fact, that even with his busy schedule, Mirliss has chosen to be president of the Suffolk University Graduate Business Association (SUGBA), which develops business, social, and academic initiatives that support the goals of the University and alumni. One of their signature events is the “Lunch with a Leader” series, which brings Boston business executives to network with MBA students over lunch.